Our lawyers are optimistic that a recent settlement between two federal agencies and a New York-based management company accused of botching the clean-up of the former Harlem Valley Psychiatric Center in Dover Plains, will result in even more diligent asbestos clean-up and abatement procedures. This settlement underscores the legal precedent that holds employers accountable when their workers become sick as the result of hazardous working conditions. The case stems from complaints filed in March 2014 by the U.S. Occupational Safety and Health Administration against Olivet Management L.L.C., which is now known as Dover Greens L.L.C. OSHA asserted that the company exposed dozens of employees and subcontractors to hazardous lead and asbestos while preparing to renovate the defunct hospital. The government’s case hinged on the idea that the company failed to provide employees “with basic, required safeguards” to protect them from exposure-related health problems. Dover Greens L.L.C., was charged a $700,000 fine (to be paid over a decade) for failing to properly control the hazards at the massive construction site. Failure to step up its asbestos abatement efforts could result in a fee totaling $2.3 million. “This settlement obligates the company to do things correctly this time and take additional steps to ensure safe and healthful working conditions,” Robert Kulick, OSHA’s regional administrator in New York, said in a prepared statement. 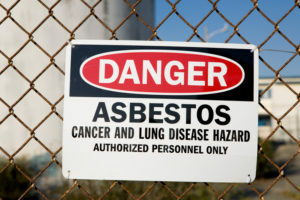 This settlement underscores the legal precedent that holds employers accountable when their workers become sick as the result of hazardous working conditions, and that includes an environment where workers are exposed to asbestos. If you or a loved one worked in or around New York City and subsequently developed mesothelioma from asbestos exposure, please contact a lawyer at The Williams Law Firm, P.C., today for your free case consultation. You can reach our law firm’s asbestos attorneys online or by calling (855) 955-6376 .